April 20, 2018. Chris Young has checked in as the new owner of Spectra, Yankee #78. We stand by for his first report and pictures, and pending a new photo we will use this 'file' photo. September 21, 2018. We got the following (detailed, and lengthy!) report from Chris - no pictures yet. POSTSCRIPT - Here are the Pictures!!! I was hoping to do all this myself on a trailer at a more leisurely and incremental costing pace (especially for replacing the seacock valves) but no luck yet finding the right match with the trailer so far...Summer is for sailing, and that is what we mostly tried to do and did!! Although there was plenty of clean-up projects, some minor repairs and aethetic considerations- mostly toe rail stripping, sandings and stainings and some interior paint strippings and paint-touch ups, the focus from June on has been to get out often, enjoy the sun, wind, and to feel the joy of a full sail!! 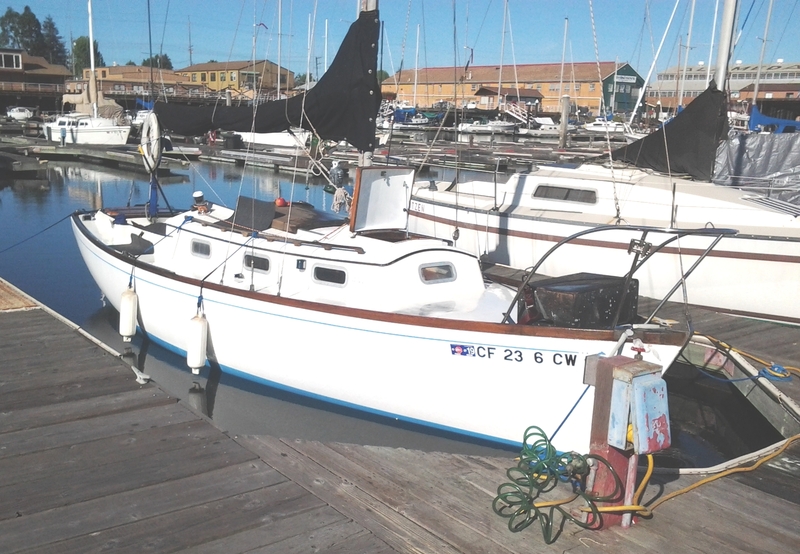 It's been a pleasure to get to know my Dolphin 24, to receive all the hand waves and nods of approval from the salts that appreciate a fine line and classic, and to explore places on the SF Bay that my previous deeper draft sailboats did not allow for. The Dolphin's shallower draft and nearly full keel really is a lovely design feature on this pocket-cruiser! 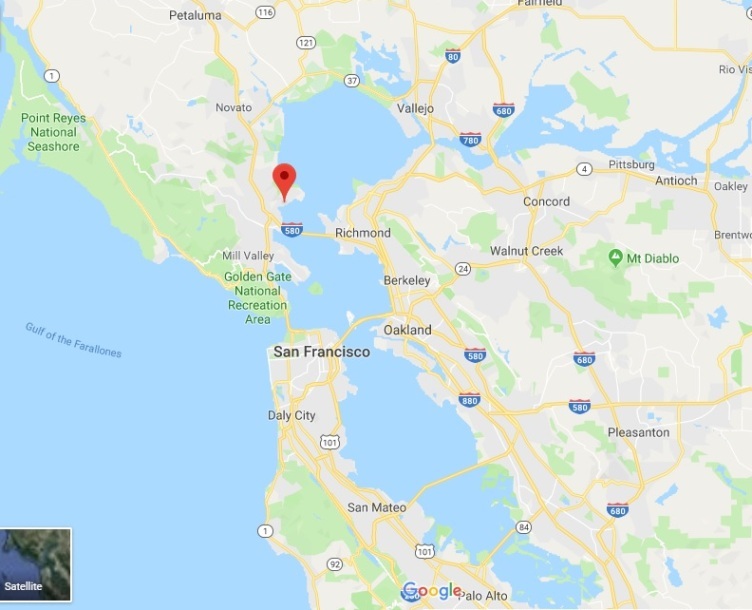 I do so much Sea Kayaking Guiding for work on the SF Bay, and I've owned other small sailboat that were moored in different locations than Spectra. 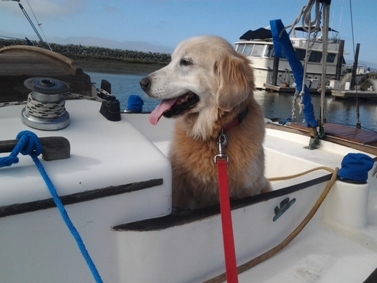 She is currently at Lock Lomond Marina (http://www.lochlomondmarina.com) in San Rafael. 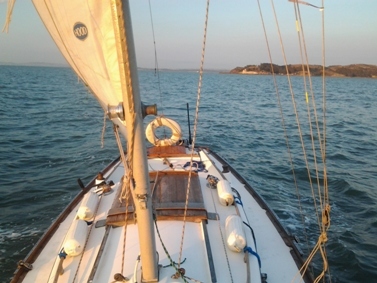 I've tried to make this summer about sailing mostly within areas that were unfamiliar. 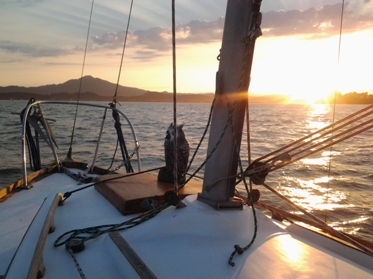 We did a good amount of sailing on/within the San Pablo Bay, and into the Delta region of the SF Bay, and out-to and along many of the North-Eastern parts of the SF Bay (near Napa, Sonoma, Vallejo, and up some of the rivers via motor- the Petaluma and Napa). Webmaster Note: Staff thought we should insert here a 'file chart' showing Spectra's home/cruising area. When time permits we'll update. 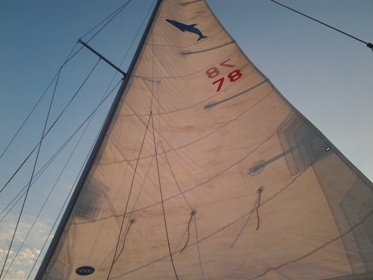 - I bought a new red and white striped used spinnaker! The rigging layout is still in an experimental phase but I've mostly followed the advice given within the forum and will refine with more time and budget. Summer time is usually too windy to set a spinnacker single-handed so I hope to play with it a bit more over the less windy fall and winter months! - first purchase for Spectra after she was purchased- early 1960s dealer Dolphin 24 brochure from ebay- cool find! 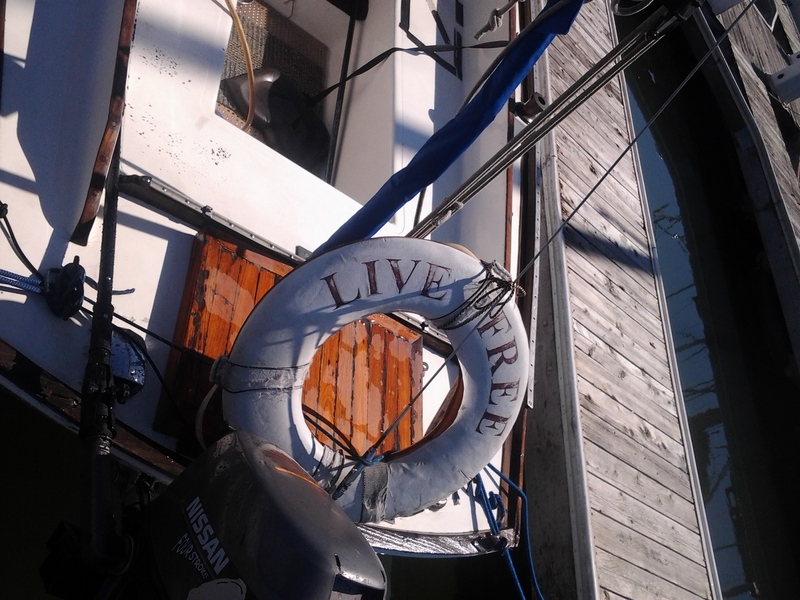 - a bit of free advice presented in the way of an old life ring I found floating on the water way while in Alameda - "Live Free"
- I also recently bought a pair of nicely dove-tailed jointed and varnished teak dorade boxes off ebay. They seem to fit well as imagined, yet I have yet to commit to drilling /cutting through the deck to install the vent tubes. I plan to measure many more times than once for the right fitting and brfore commiting to cutting through the deck. I'm also still looking for the proper interior to exterior vent tube and interior vent luvier products. 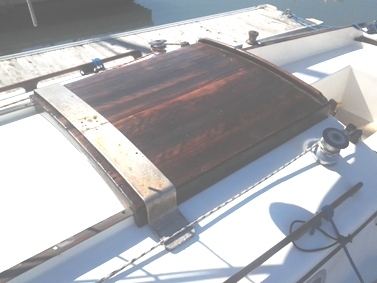 I plan to first gather all the parts and then do the first phase of securing the dorade box rails (how the box will attach to the deck) without making any major deck cuts until the dryer spring period... will see). - Speaking of such, in preparation for winter and rains, I need to pull Spectra's sliding companion way hatch off for a repair as it has a nickle width 2 foot crack from someone (I think Phoebe!!) stepping directly on it. I've avoided further damage in this manner by purchasing and installing a used stainless steel companion way hatch arch. Additionally this doubles as a jack line anchor point (I dont have stanchions and life lines on my girl so I use a harness and jack line to move about when out solo) and potentially this stainless arch will also act as a secondary companion hatch hasp locking point. I may end up moving her to an anchor-out mooring on Sausalito's Richardson Bay (just north of the Golden Gate Bridge) soon for the fall-winter season to reduce the slip fees. That's all for now! Thanks again for your interest Ron!! I truly appreciate all your gatherings of information, interesting and useful sharings, and all the added joy, camaraderie, and pleasure you bring to being a Dolphin 24 owner and custodian! !